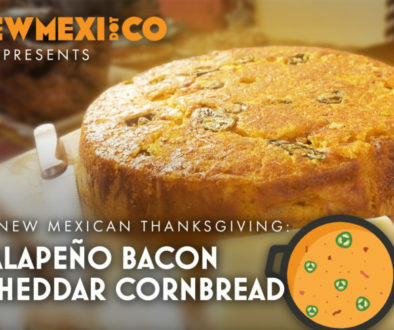 This fried turkey recipe will speak to your soul and make every out of towner consider being a permanent New Mexican. 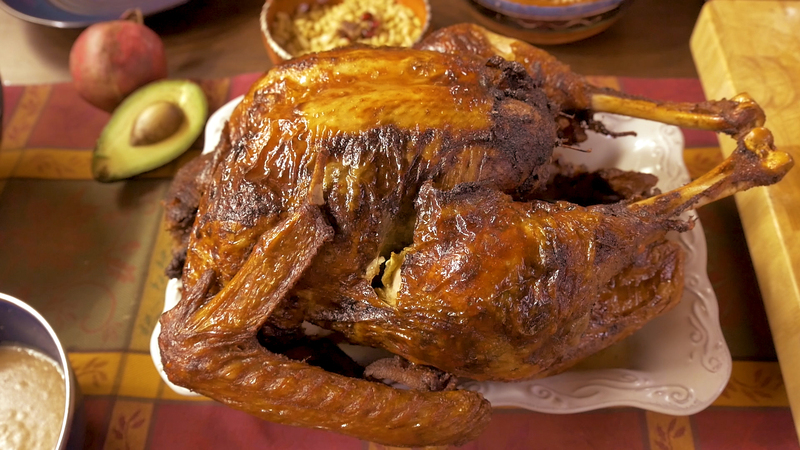 This Turkey is perfectly moist with a hint of our favorite NM staple, green chile. Using local Bosque beer with the brine enhances the smoky flavor and makes it a dish that no one will forget. Trust me when we say this is hands down the best turkey we have tasted. Combine ingredients into a tub and submerge turkey overnight. Blend enchilada sauce until smooth. Using an injecting syringe, inject enchilada sauce into various points of tissue on the turkey. Lift skin from turkey but do not remove. Stuff chopped green Chile under the skin of the turkey. You can toothpick areas to pin the skin and create pockets of green Chile under the skin. Predetermine how much peanut oil you will need to submerge your turkey in a large stockpot. Remove turkey from brine 30 min before frying as to avoid excess moisture. (Also make sure there are no plastic thermometer indicators that are usually on turkeys to show you that they are done, on the turkey. We don’t want to fry that. ). Preheat oil to 350 degrees in large stock pot OUTSIDE in a clear area. Prop turkey onto frying dipper and use a hook or some other device that allows you to lift the turkey to and from the oil with ample distance from any limbs. Get some help to submerge the turkey, and slowly lower the turkey into the oil. Cook until internal temp of the turkey reaches 160 degrees, Approximately ~5 minutes per lb. Saute Onion, carrot, and celery with garlic. Add Broth, and rest of ingredients. and giblets and bring to simmer. Simmer for at least 30 min. Strain, make a roux and thicken. 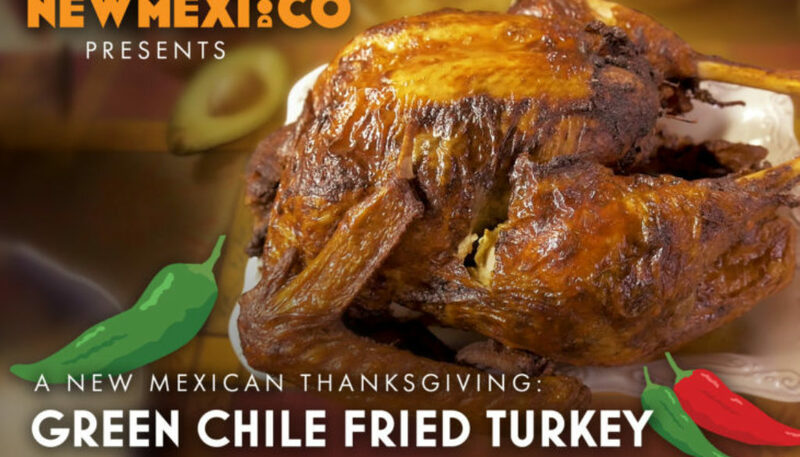 This Fried turkey recipe is from our very own Chris Preciado Shelton. Pecan bourbon Turkey gravy from Ralph Diaz. 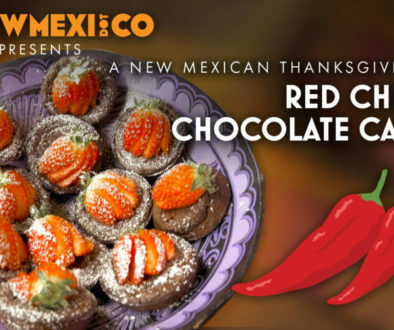 Make sure you don’t forget the veggies this Thanksgiving and check out our Southwest inspired Salad Recipe.